We are extremely excited to announce that we have our very own internet channel Saisumpan TV on the Malimar TV Network. 2014 has been a great year for Saisumpan and GC4U, Inc. with many changes. This year we partnered with Edwards International and was able to take on more of their health products and brand them as our own. We were also able to open up our own studio in San Diego. This is where we film all of our programs and have opened up the studio to fellow broadcasters so they can use it to record their shows. With the new Saisumpan TV channel we’ll be able to educate and inform more people of our products and their benefits even more than we were able to do before. This exposure will be huge and will allow everyone to watch on their own time. We’ll be streaming live shows along with some re-runs. When Saisumpan’s infomercial programs are not airing you get to watch Lao/Thai dramas, music, and karaoke. We do have new programs currently in the works. Dawn Manichanh is working on a new show that will showcase the modern man and woman. She’ll be interviewing special guests within the San Diego community but expects to expand all over the nation. On the show, she’ll talk to each modern man or woman and discuss their personal journey to success. New program show times will be announced soon. The channel officially launches on Monday, September 1, 2014, but we’ve been airing our shows as a live test run. Feel free to call, email, comment and critique. We want your opinion and let us know what you want to see. Not sure where to go to watch us? You can watch us on your Roku box, the network is Malimar TV, the channel is Saisumpan TV. Our channel is a free channel through your Roku subscription. Look for our logo. Don’t have a Roku box? You can watch us directly on the internet. Just click here on the Malimar logo. Categories: About Saisumpan | Tags: dawn manichanh, roku channel, saisumpan TV | Permalink. There’s still time to enter. It’s not too late for a chance to win! For every $100 you spend you’ll be entered for a chance to win. Purchase is required to participate. Any product purchase online or by phone qualifies. There is no limit on purchase entries. You do not need to watch to claim your prize. Place orders at http://www.saisumpan-store.com or call 619-600-5190. Categories: About Saisumpan, Health Trends, Product Announcement | Tags: goldrings, laos, raffle, saisumpan, saisumpanraffle, turkey tail mushroom | Permalink. After years filming Saisumpan TV in Garden Grove, we’ve finally decided to film it locally. We are very excited and proud to announce that we’ve opened our very own production studio here in San Diego. After 3 years of commuting to Garden Grove just about every other day to film our home shopping program Saisumpan TV, we’ve finally made the move to open our own studio. We’ll be able to broadcast in HD and our alliance with Triple M Designz Productions will allow us to do more with the production. Every reason leading up to this decision was primarily practical, but it is nice to “have your own”! Our main office and warehouse is located in San Diego and we filmed at a location about 2 hours away. When we first started, it made perfect sense. We were not producers and didn’t know much about the technical side of streaming a live show. All we knew was we needed to get our show aired. Now, we are in the position where we have the staff to do it ourselves. The serious health risks imposed on our staff was a top concern as well. We all know about the dangers of driving long distances and the fatigue and stress it causes. Our mantra is to celebrate life and live healthy by caring for our bodies. As we are ones to practice what we preach, it came down to making a drastic change to our day to day operations. The studio at Lao-iTV is great but it just made more sense for us to do everything from one location. The decision to stay in San Diego, was due to our roots here. We love our city so much relocating to Garden Grove or Los Angeles was simply not an option. We’ll truly miss working with everyone at Lao-iTV in person, but we’ll still be working closely together. Starting in June 2014, Saisumpan TV will be filmed on location in San Diego. The show will still air on Lao-iTV at the same time slots. Thanks all for your continued support! We hope you can join us every weekend as usual. See you then. Kop chai lai lai. Categories: About Saisumpan, Health Trends | Tags: filming, lao itv, saisumpan TV, studio, triple m designz | Permalink. The Woman Behind Saisumpan, Dawn Manichanh. A True American Success Story. Dawn Manichanh is the co-founder and co-host of the internet show Saisumpan, a home shopping program which sells health supplements and is currently broadcast live on Lao-iTV. She is also chief treasurer of Global Communication 4 U, Inc (GC4U). The company’s primary mission is to protect human rights worldwide and increase well-being through natural healing. She saw an opportunity to help her community and through GC4U, she was able to launch Saisumpan as a sub-division. Dawn and her family immigrated to the United States from Laos in 1982 after her eldest sister immigrated with her immediate family only a few years earlier. They all landed in San Diego, California and has remained since. Out of her six siblings, Dawn was one of the two younger children who was able to attend school in the Unites States. She earned her high school diploma at San Diego High School in 1985. Most of her family avoided assimilating to the American culture but Dawn embraced it. Hence, the seed of the American dream was planted. After earning her diploma, Dawn went on to work for Cobham, a large defense systems manufacturer in San Diego. She worked for the company for years and while there, played a little with the idea of starting her own business, but never took it to fruition. After 20 years at Cobham, she suffered an injury at work and was no longer able to work. Instead of accepting defeat, she changed her outlook and had a paradigm shift. Naturally, the opportunity presented itself and in 2009 she was made chief treasurer for GC4U. In 2010 Saisumpan was launched. Among health and well-being, family and faith holds profound value to Dawn. As a young adult, she converted to Christianity but never lost her Buddhist roots. She is a mother of three sons, Panthong (29), Scott (27) and Jonathan (19), now all adults and successful in their own endeavors. She raised her children in a christian home and regularly attended church. Noy, her husband of 10 years, shares in her beliefs and the passion she has to help others. He is also the co-host of Saisumpan. “I love being exposed to different cultures and learning new things. It teaches my heart and mind how to love earth and respect nature. Changing people’s lives for the better is the goal of my company and nothing compares to the joy and gratification it brings me.” Dawn Manichanh. Part of her American dream was to own her own successful business and she has achieved it. Categories: About Saisumpan | Tags: american dream, business owner, dawn manichanh, family, happiness, saisumpan store | Permalink. Saisumpan-Store offers disease-fighting health supplements along with high-tech specialty products for maintaining and monitoring. GC4U, Inc. has launched their new web store www.Saisumpan-Store.com; created to ease the order process for existing customers and reach out to anyone who could benefits from the products. Saisumpan-Store offers disease-fighting health supplements previously only advertised through the live internet broadcast infomercials on www.LaosCities.com/Lao-iTV, and could only be purchased by phone. 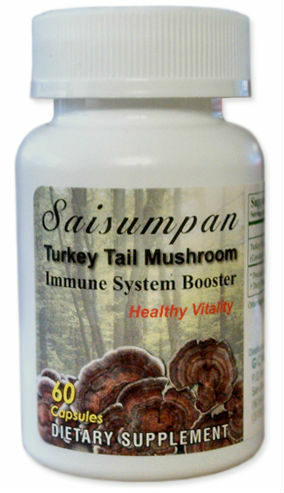 These supplements includes the highly popular Turkey Tail Mushroom (Coriolus versicolor) proven to fight cancer and boost the immune system. Saisumpan-Store also offers high-tech specialty products to accommodate their supplements and manage conditions from memory loss, hearing loss, vision loss, mobility, communication, diabetes, blood pressure, and more. The products range from medication management devices, personal health devices, personal alert systems, security, and safety. “The new website will open many doors for us. It’s convenient for our existing customers and I’m looking forward to the new business to come. With the new marketing team, I am very optimistic. Expanding our audience is the goal and this will do it.“ Says Dawn Manichanh, Chief Treasurer for GC4U, Inc. and co-host to Saisumpan on Lao-iTV. To learn more about the supplements and the other products offered contactSaisumpan-Store at info@saisumpan-store.com or visit the website at www.Saisumpan-Store.com. Categories: About Saisumpan | Tags: cancer fighting, coriolus versicolor, disease fighting, lao itv, press release, saisumpan, saisumpan-store, turkey tail mushroom | Permalink.